Comes in 4’X4’ sections, can be elevated up to 4’ tall. 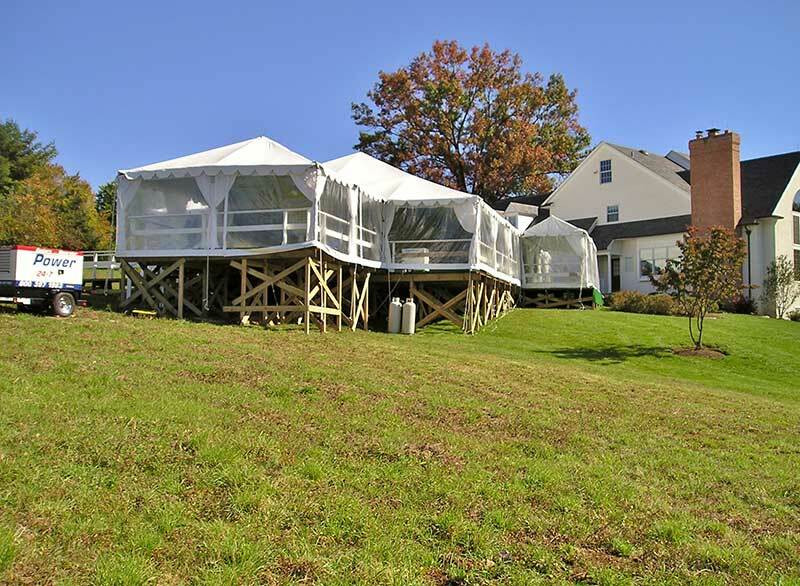 Guardrail, skirting, stairs and tenting are also available to complete the stage. Contour flooring used as base for carpeting or AstroTurf on areas where standing water or slightly unleveled ground may be a concern. Available in 4’X4’ sections. 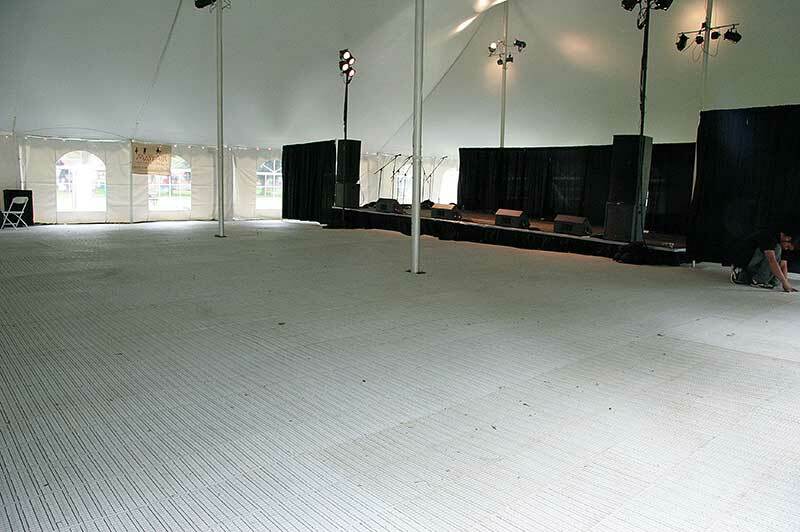 Ideal for firm and level surfaces in need of flooring, such as cook tents. Available in 1’X1’ sections. 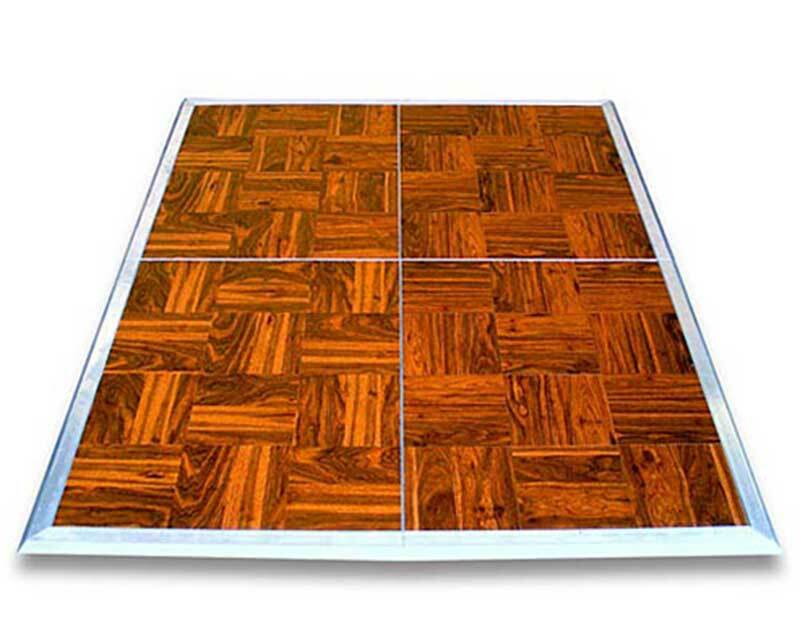 Traditional style dance floor. Must be installed in covered area. Available in 3’X4’ sections. Often used as a solution for a sloping yard, or even an installation over a pool, we are able to build a custom floor to maximize the space complete with steps, ramps and carpeting.